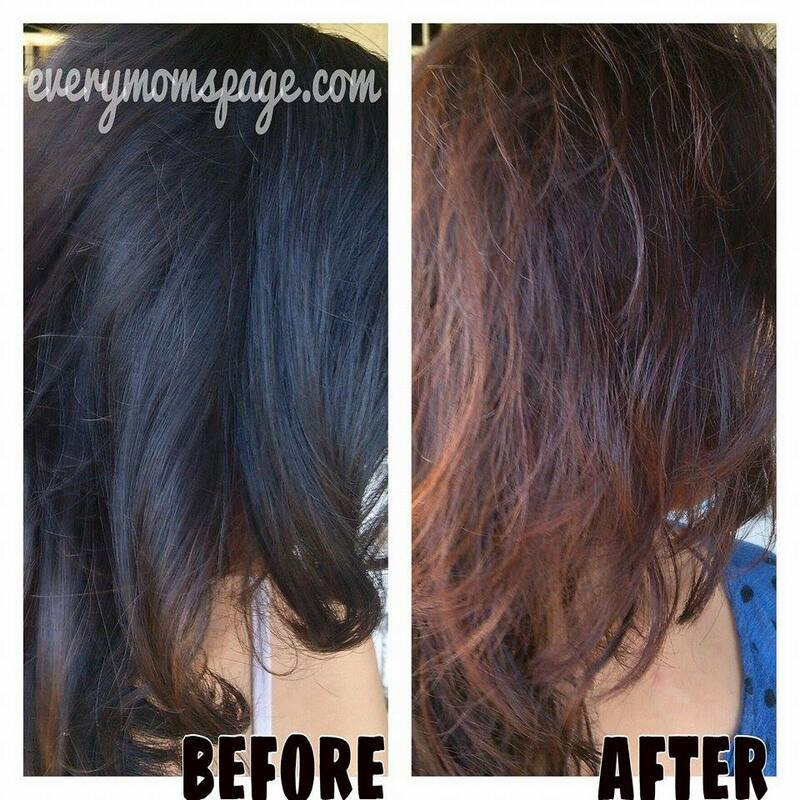 One great way to start 2016 is treat yourself a new hair color! It has been more than a year since I last dyed my hair. The current state of my hair is dry and the split ends are showing so bad so coloring it may reduce the visibility of my hair problem. 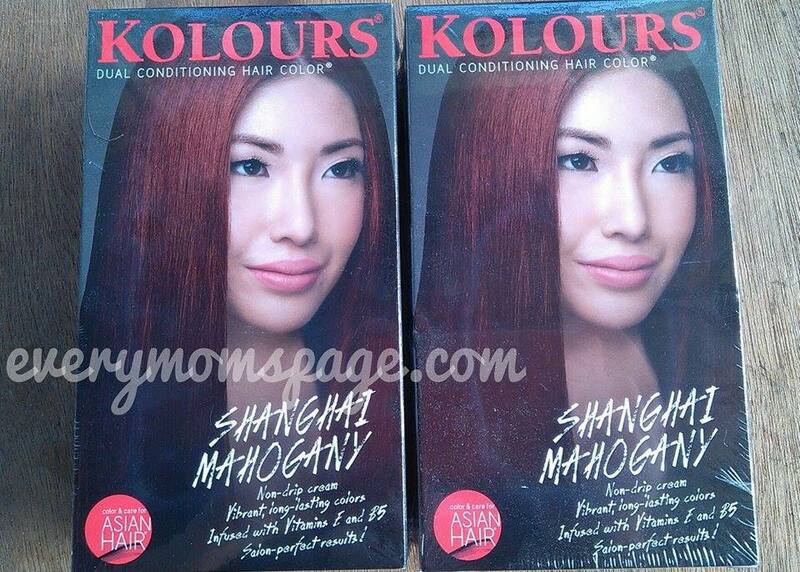 I went and got myself this Kolours Dual Conditioning Hair Color in Shanghai Mahogany. I never think twice in this brand since I have already tried it and the color was preserved for a long time. 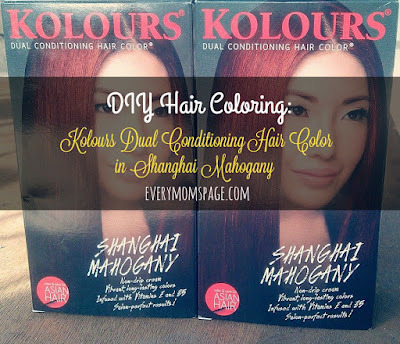 Kolours Dual Conditioning Hair Color in Shanghai Mahogany costs P256.00 each box but since I was able to avail their buy one take one promo, I paid the price of one for two boxes. It was indeed a lucky day for me! If you wonder who applied the mixture on my hair, it has always been my hubby’s job eversince were married. This is easy to start with, all he needs to do is mix the cream from the tube into the squeeze bottle and thoroughly shake for the products to mix together properly. 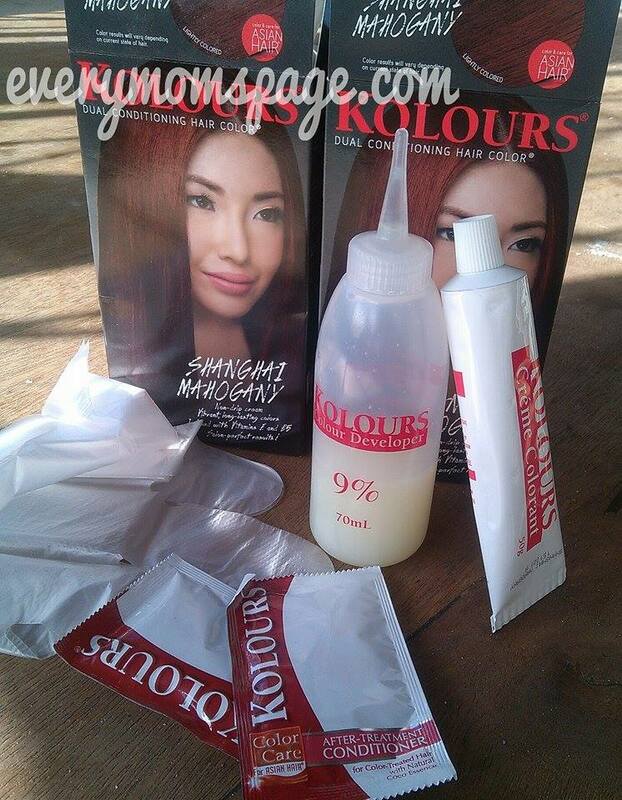 Applying the mixture to my hair is a breeze using the bottle applicator. The whole application process took less than 10 minutes and was never messy. I let the mixture stay on my hair for 45 minutes, then rinse off and use the after-treatment conditioner that came in the box. No stain left on my scalp, fantastic! Honestly, I kind of presume the end-result is this kind of brown instead of red. The main reason I choose to buy hair colors of chocolate red like this Kolours in Shanghai Red, mainly because the result has always been my preferred rusty copper. This is the color I have always wanted. I have seen this promo in SM Supermarket and wanted to try it too but plans have changed when I went for hair treatment because the package included hair color. I will try this when my current hair color fades. I'm also interested with the mahogany color. Thanks for the tip. I might use two boxes to really have that red color. Successful Budgeting 101: How to Start?